MISSOULA, Mont. 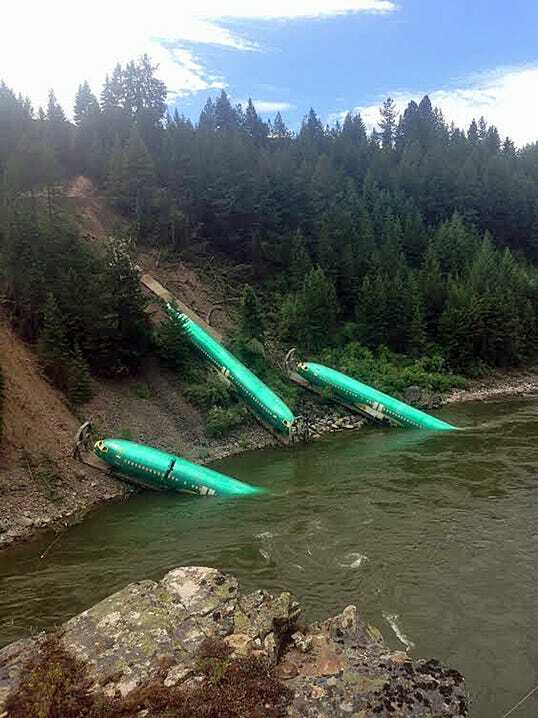 (AP) — Crews on Sunday will attempt to remove three Boeing 737 fuselages that tumbled down a steep bank and into the Clark Fork River in western Montana after a train derailed. 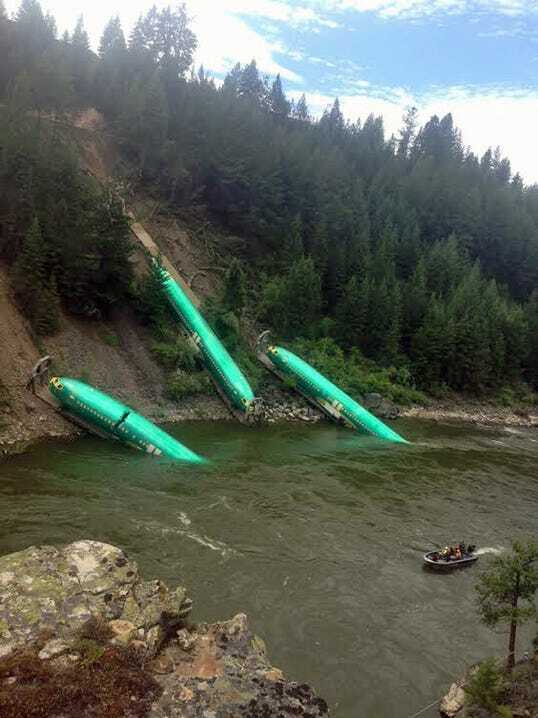 Montana Rail Link spokeswoman Lynda Frost said Saturday that it's unclear the type of challenge involved because it's the first time the company has faced such a task. No one was injured when 19 cars from a westbound train derailed Thursday about 10 miles west of Alberton. The cause of the derailment is under investigation. 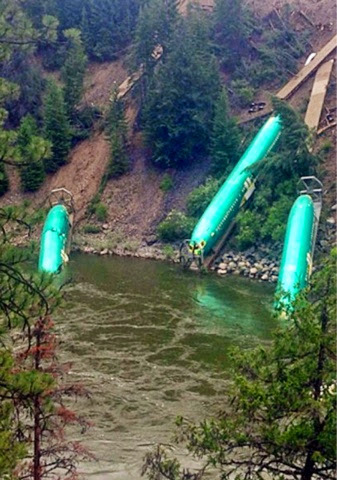 The train carried six fuselages. Three others also fell off but stayed on land. Frost says Boeing has had workers at the scene assessing the damage. The fuselages were headed to Renton, Washington, to be assembled into completed airliners. Photos provided by Wiley E. Waters Rafting.